Finnish producer Darude is set to release his latest single ‘Beautiful Alien’ taken from his as yet untitled fourth studio album. With over 15 years experience under his belt, 2015 may be the start of an exciting new chapter for Darude. In just three short months, he’s already played at opposite ends of the globe, including Miami’s Groove Cruise, followed by a ‘special guest’ headline appearance at Australia’s Future Music Festival, where he performed to capacity crowds across five cities. Apparently lauded by many as “Finland’s biggest musical export”, Darude’s achievements to date already make for impressive reading. With multiple hit-singles, prestigious awards and major festival appearances under his belt, he’s planning the next stage of his career to be primed to build on his apparent ability to catch the mood of a generation. 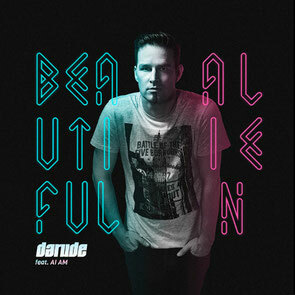 ‘Beautiful Alien’ is a gritty and infectious trance track, mixing current trends with hints of Darude’s signature sound. Featuring the vocal talents of AI AM, this may be big over the coming months as it also aims to become a festival favourite. It’s already been causing serious damage in Darude’s recent sets, and has shot straight to #1 in the iTunes chart in his native Finland. It’s out 10 April on Warner Music, check it out below.